Click Here to download the 2019 Pesah Schedule. Click Here to download the 2019 Pesah Newletter. This spring season we are proud to host the most prominent speakers in the world to share inspiration with our Kehilla every Saturday afternoon before Minha in the Joe and Celia Esses Dome. Men and Women are welcome to attend. To join our email list and keep up to date with the weekly speakers please email Sarah@cszny.org and request to be added to the list. Our Torah Center recently launched Habrutah Night every Tuesday night at 9:00pm in Syn #3. This program is open to all people that would like to come and learn on a weekly basis. For more information or to join this wonderful new program, please email Rabbi David Nakash at RDN613@gmail.com. Shaare Zion is proud to announce the Launch of SZ Connect. This is a new matchmaking service open to all members of the community. Click Here to view the the launch letter with additional information. To learn more please email ShaareZionConnect@gmail.com. Shaare Zion mourns the loss of our beloved Chief Rabbi Shaul J. Kassin. The Rabbi served our community with dignity and respect for many years. Please visit our new Biography Page and Photo Gallery dedicated in his memory. We are proud to introduce our brand new brochure listing our various classes and programs for our Youth. Click Here to view the 2019 Youth Program Brochure. Please note that this year's program is Dedicated in Memory of Hacham Shaul Kassin, ZTL, who gave his life to instill Torah and inspiration to our children for many decades. Special thanks to the Jewish Communal Fund (JCF) and Israel Bonds for generously sponsoring the brochure as well as for their continuous great work that they do for our community and the Jewish World. Our Synagogue an extensive program for ladies of all ages. Click here to see the 2018/2019 Schedule of Ladies Classes. Classes are in Memory of Rachel Bat Shulamit, AH. click here to hear classes from our rabbis as well as many rabbis of our community. click here to view Hazzanut videos by Hazzan David Shiro. Click here to view an article from Community Magazine describing the history of Shaare Zion. 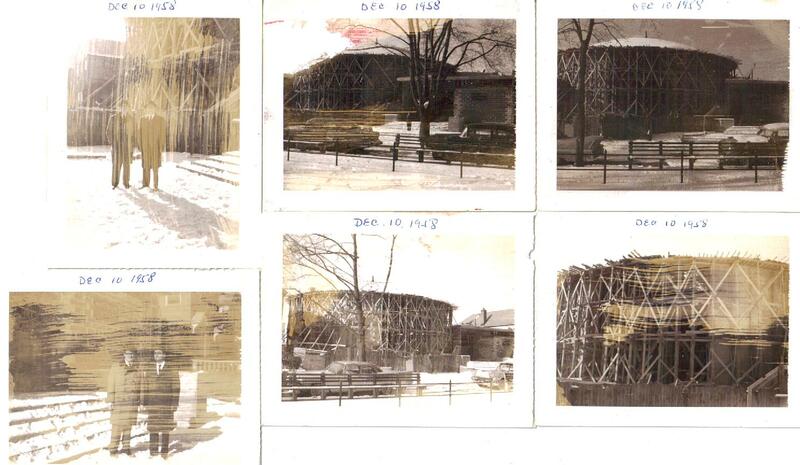 Click here to view pictures of the building under expansion in December 1958. Special thanks to Mr. David E. Cohen for providing the information. 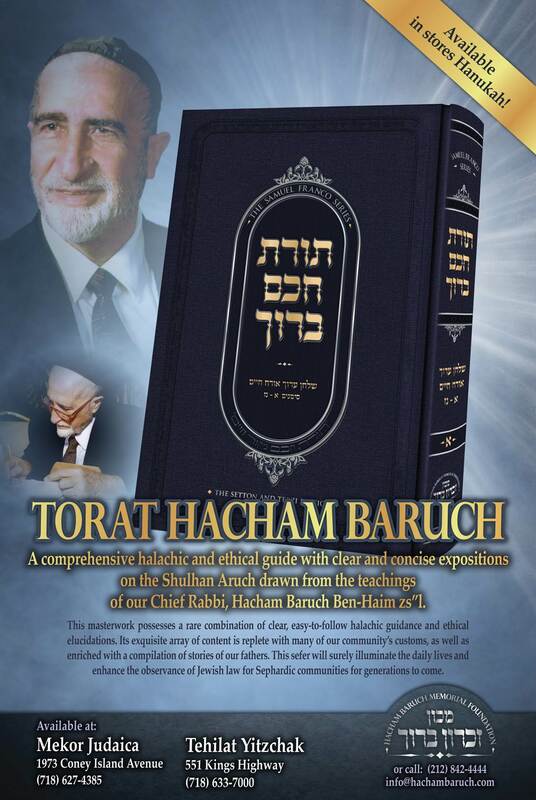 The Hacham Baruch Memorial Foundation is proud to announce the launch of a new series of sefarim based on Halachot and Minhagim from Hacham Baruch, Z"L. The first volume has just been released with many more to follow.